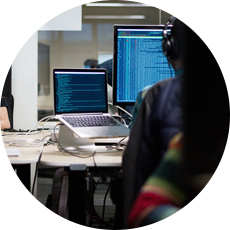 We’ve invested heavily in cloud architecture and infrastructure, our engineering team can design any solution to your clients’ exact specifications, and our professional staff can assist you with any phase of the sales and fulfillment cycle. We enable you to deliver complete solutions, build recurring revenue streams and grow your cloud practice. Most importantly, we’re there to support you and your business; we can be as visible (or invisible) as you need us to be. We’re not just a cloud vendor, we’re your cloud department. Our end-to-end-approach helps ensure your success in the cloud. From design and installation to support, training and marketing, we’re your dedicated cloud-enablement partners. We live and breathe technology, and constantly challenge ourselves to keep learning and improving. 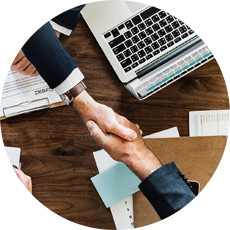 From custom technology solutions and professional technical services, to sales and marketing support, to targeted vertical market solutions, everything we do is to help our partners be successful in the cloud. As the technology evolves, so does Green Cloud. Our solutions are the best in the industry and continually update to keep pace with the latest advances. When you begin hearing about the “next big thing” in Information Technology, you can be certain Green Cloud is already figuring out how you can use it to grow your practice. Green Cloud maintains a backbone of redundant, world-class data center facilities positioned around the country. Our virtual environment is built on industry-leading infrastructure that adheres to strict SOC 2 Type II auditing standards. Our data centers are secured with multi-level physical and biometric access, video monitoring, and round-the-clock NOC supervision. 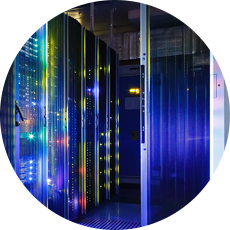 Our data centers are built with the most powerful resources available while keeping entry costs as low as possible. What sets Green Cloud apart from the competition? Whether your clients need a simple archival backup in a shared (public) cloud, or a high-performance disaster recovery solution mounted on a dedicated (private) cloud—or anything in between—we have a solution. 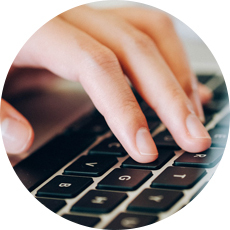 Our cloud solutions are completely customizable and scalable to your clients’ exact specifications. We enable you to create your own proprietary cloud-based solution with our bulk data center resources. We don’t employ a one-size-fits-all approach to your business—our storage and backup options let you optimize your existing resources and virtual environments. Our certified engineering team will collaborate with you to create the right solution.